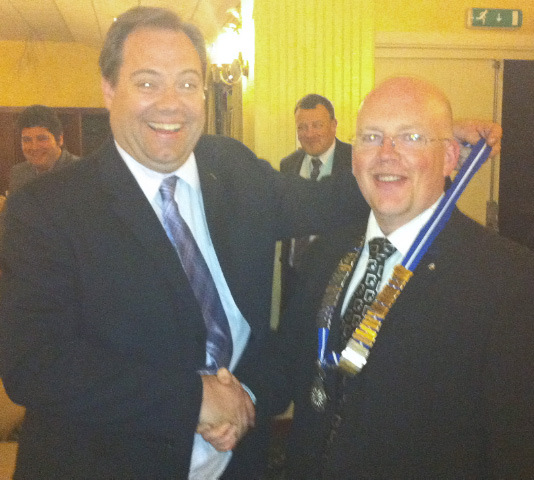 Long Eaton Round Table held their AGM in early April, which marked the changeover in the club’s year. 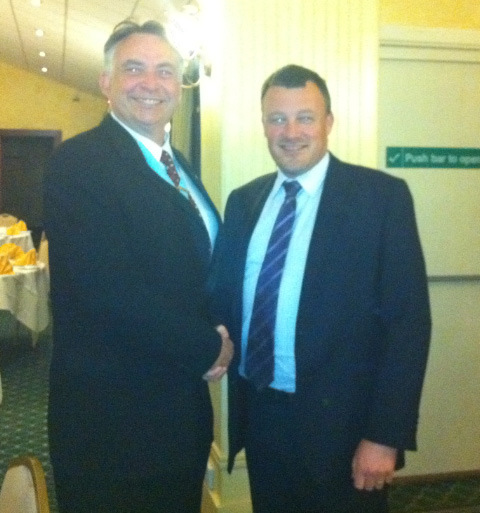 Chairman for 2010-11 Robert Westerman handed over to Rob Murdy, and an exciting election for Vice Chairman resulted in Ian Adkin getting the nod. The four recently chucked out members received their commemorative tankards. Chairman Rob thanked all the committee and club for supporting him in what was another successful year for the club. 2010-11 President Graham Hill gave a short lecture on the various uses of the word “up”, and how confusing it is, and finished by saying his time in Round Table is now up. 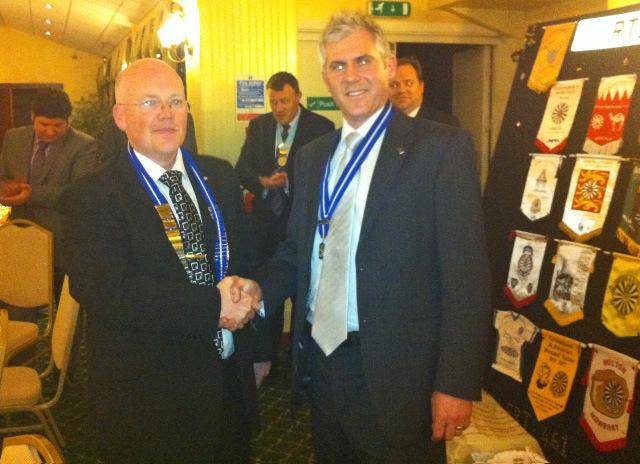 He handed the honour of President to Stewart Cliff. 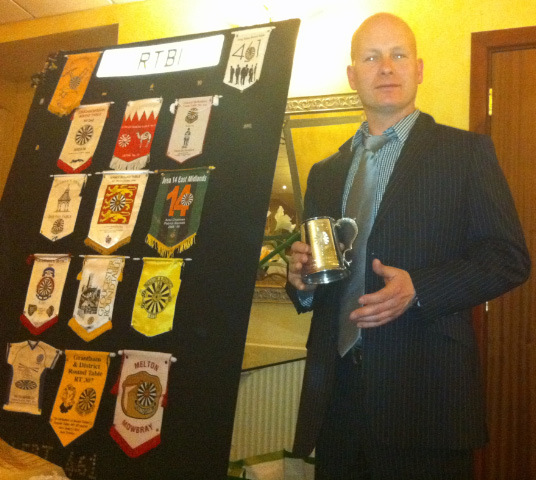 Dave gets his tankard too.